Are you a lapsed email marketer? Has your email marketing time been stolen away by other, more pressing work duties? Has your campaign activity gone into hibernation? Or was ditching email a conscious decision? Did you cut back because your campaigns weren’t working? 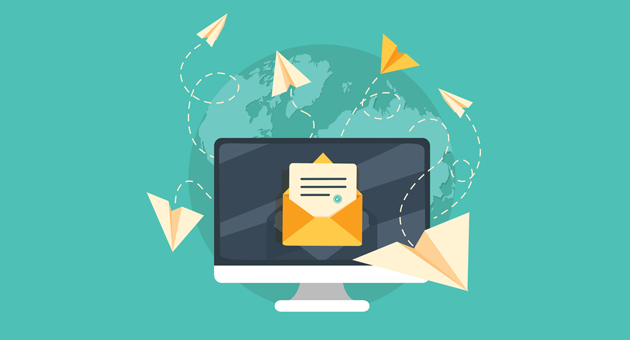 If you run a smaller business, it can be very difficult to make time for email marketing campaigns – or to learn the skills you need to do it successfully. But that doesn’t change one very important fact… that email is the best-value marketing tool at your disposal! Research keeps proving it. According to a study by VentureBeat, email delivers an average US$38 return-on-investment for every $1 spent. A study by Econsultancy also concluded email “reigns supreme when it comes to delivering ROI”. The sustained popularity of email marketing also proves it works for companies of all sizes. Doing no marketing is not an option. Email is the simplest, cheapest and most effective way to reboot your marketing. You already know you need to get back on that email marketing horse. That’s why you’re reading this article. Yes, it’s tough to find the time and motivation. But it’s going to pay off in the long-run. And, in case you need an extra boost to get you back in the groove, here are 10 reasons why you should get back into email marketing. We dare you to try and disagree with any of them! The best marketing campaigns are measurable. You spend some money. You see the results. You know what your ROI is. You can also use your campaign data to improve your methods over time – increasing your ROI and getting more value. This is not easily possible with TV advertising, telemarketing, flyers or prints ads. Because it’s very hard to tell which sales were triggered by those campaigns. But with email, it’s very easy! With most email marketing tools, you can track which emails get delivered, which get opened and which customers click your call to action. And with a little extra work, you can also see which emails lead to an online sale or other actions. In other words: email makes scientific marketing easy! No wonder it “reigns supreme” for ROI. Social media is still very popular. And Twitter, Facebook and Google Ads all want your marketing budget. The problem is, they also want to control your marketing very tightly. They control who you can contact. What you can say. They can pull your ads without warning. And your ads may not always appear where you would want them to – something Google apologised for in 2017. Email isn’t like that. It’s a truly open channel. You can email whoever you want, say whatever you want, use any design you want, and collect data your way. That puts you in control of your brand and your campaigns. No wonder corporations and small businesses all choose email. Want another really good reason to choose email over social media ads? Then consider this: every email campaign you send has a web version too. And it’s easy to share links to these web versions on Twitter, Facebook and so on. That means you can promote your email campaigns to new customers. Build your audience. And get even more value from email! These days, it’s easy to use an email template that looks good on every type of device your customers use: PC, tablet and smartphone. These responsive templates are built into most email marketing tools. Compare that to Facebook or Google, where you don’t really see ads on mobile. Or compare it to web banner ads, which are blocked by many customers who find them intrusive. With email – provided you build your subscriber list properly and don’t spam people – your message is seen and looks good everywhere. On the same note, email also makes it very easy to create professional campaigns. Again, it’s thanks to those smart templates that come as standard with today’s email marketing platforms. Just drop in your logo and company details. Choose a colour scheme. And once you’re happy, you can re-use the same design again and again. It’s much better-looking than a sales letter you typed up in Word. It’s cheaper to send too, and reaches many more customers! A good email campaign can deliver sales for your business, fast. Just make sure your campaign has a clear call to action button, which leads customers to your sales page (or other desired action). This makes it easier for your customers to buy – and more likely that they will buy. There’s no waiting around with email, is there? It’s not like running a magazine ad, or having flyers delivered. With email, you click send – and you can start tracking the results immediately. In fact, your campaign is usually at its most active in the first few hours after you send it. You can see all your opens, clicks, and website traffic straight away. This is especially true if you are a lapsed email marketer, and your sales have slowed recently. You already have a subscriber list of customers, who have also shown interest in your business. If you want to reconnect with them all, email is the best way to do it! Just create a campaign and use it to reach out to all those dormant customers. You might be surprised how many are glad to hear from you! Maybe you haven’t set up an email campaign in a while. And the thought of creating a new one is stressing you out a little. Stop worrying! You’ve just forgotten how easy it really is. Especially with modern tools, which provide templates and automation. …And send it to your list. Easy! As we’ve mentioned a few times, successful email marketing campaigns always have a strong and clear call to action. In other words, a big and simple link/button that you want customers to click when they read your message. These links will usually lead to a page on your website, where the customer will often browse around. So even if they don’t take up the offer in your campaign, they might buy something else or contact you. They’ll learn more about your brand. And you’ll see better results in your website analytics. We’ve seen why email marketing is the simplest, most cost-effective marketing channel around. But only you can decide when to get back into it. Whenever that is, we wish you the best with your campaigns. And if you’re looking for a great-value email marketing platform, why not give Mailrelay a try? Why Wikipedia needs to work with email marketing? Las explicaciones que das en tu segundo vídeo,en mi opinión son poco útiles, sobre todo para las personas que por desgracia desconocemos el lenguaje ATML, me refiero a la hora de crear botones de acción. No todos los que estamos con MailRelay, somos expertos en HTML ¿? Está todo explicado paso a paso, y puedes copiar los valores indicados, así solo tendrás que copiar.